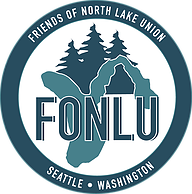 Come join Friends of North Lake Union (FONLU) to remove trash, debris, and weeds from Northlake Way on Monday June 5, 6:30 – 8:30 PM. The event will begin at the intersection of Stone Way N and N Northlake Way in front of Waterway 22. All event equipment and materials will be provided. Come meet community members, improve the neighborhood, and enjoy the emergence of spring! This entry was posted in Quality of Life, Shorelines on June 3, 2017 by Frank Fay.